DornerWorks provides engineering expertise in all aspects of electronic circuit design, from architecture through the schematic capture and PCB layout design. We create custom solutions for your product idea and specifications. While we specialize in a high rigor, high reliability design process, our engineers are also very experienced at iterative design methods and rapid prototypes mitigating risk for markets that don’t require the same rigor as aerospace and medical. We will help you realize your concept, freeing up your bandwidth to pursue other work. DornerWorks specializes in design and has a deep understanding of electronics manufacturing and the techniques and controls necessary to design for manufacture. We partner with your preferred (or one of our pre-qualified) contract manufacturers to produce your electronic circuit boards. 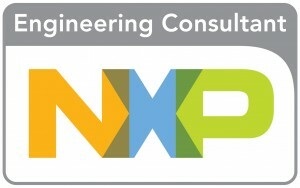 We are an Engineering Consultant partner in the NXP partner program.